"Linens Included" terms: COMPLIMENTARY BED & BATH linens for weekly reservations in Prime Season 2019. Includes 1 King, 1 Queen, 3 Twin and 7 bath sets. 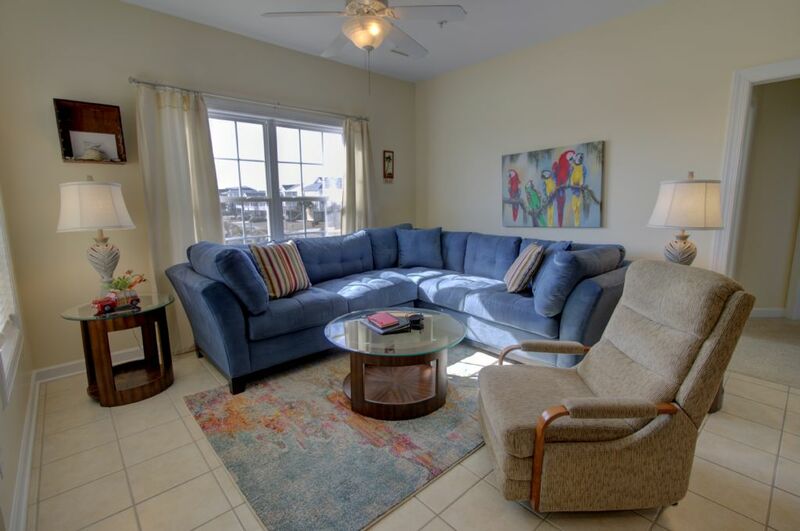 Within a few minutes drive from downtown shopping, dining and entertainment, this award winning condo complex offers a community pool, public beach access across the street, public playground next door, and an elevator that services all floors of the condominium side of the complex. 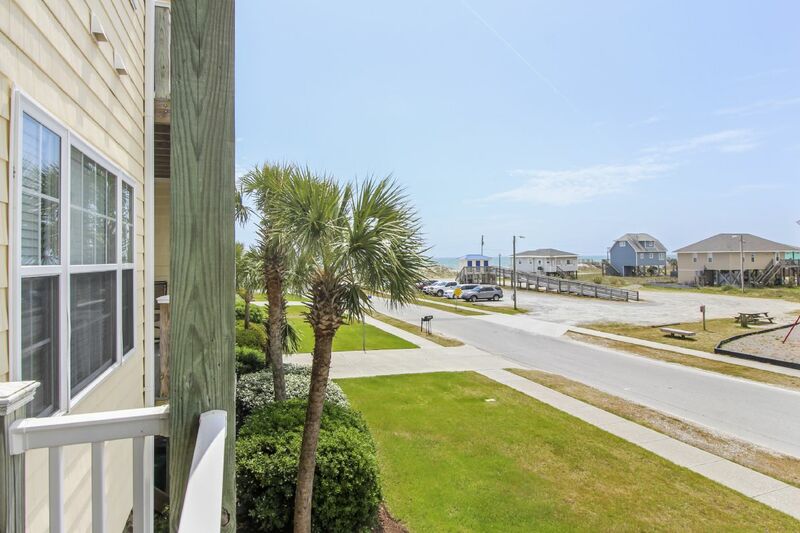 "Summer Winds 207" is a corner unit with a sweeping view of the ocean and town park next door. 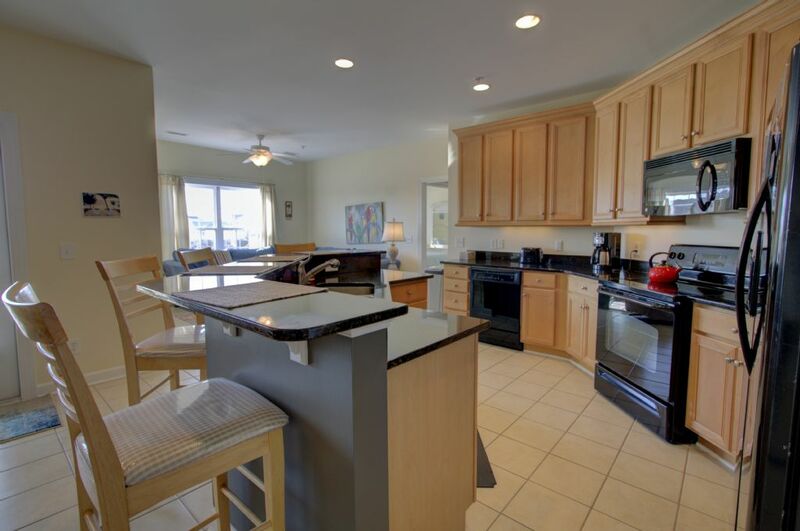 An open floor plan provides a large kitchen with dining area set to the side, deck over looking the ocean and a living room situated so you can even see the ocean from the couch! 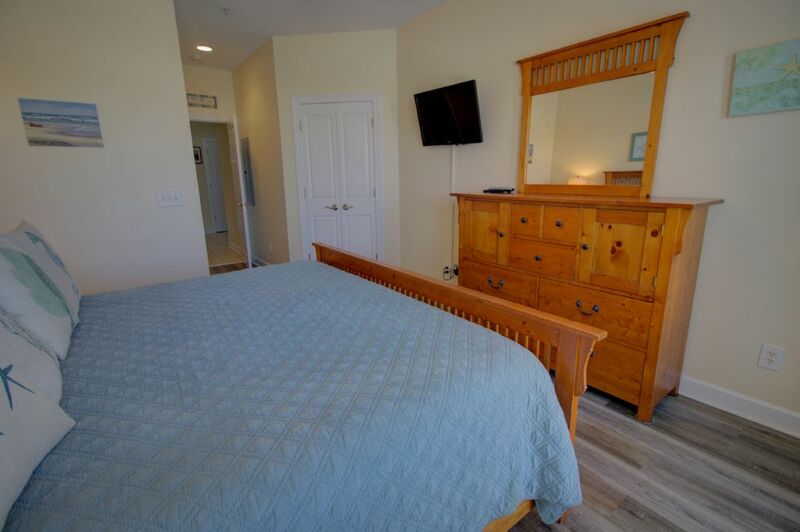 As you walk into the unit the master bedroom is to your right and provides a king bed, its own private bath and even access to a sound side balcony. 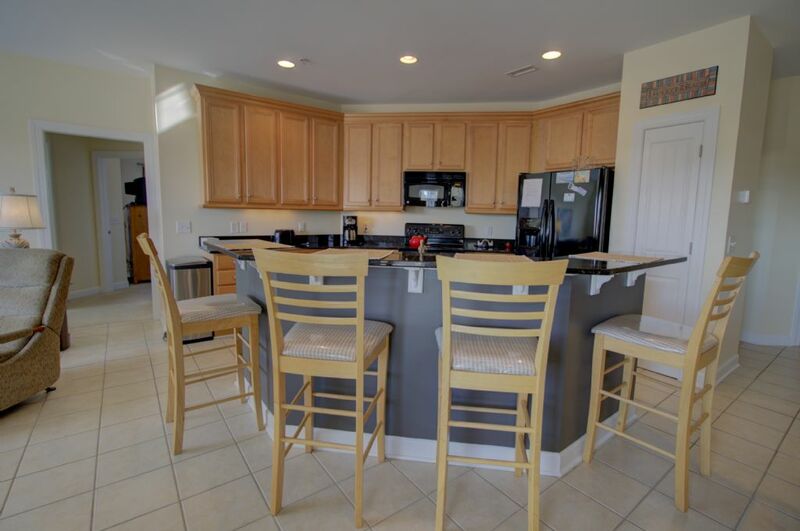 Continuing on, this unit opens into the very large kitchen with granite counter tops, maple cabinets and even an eat-in bar. The living room with brand new couches sits in front of the two remaining bedrooms that each share a bath. 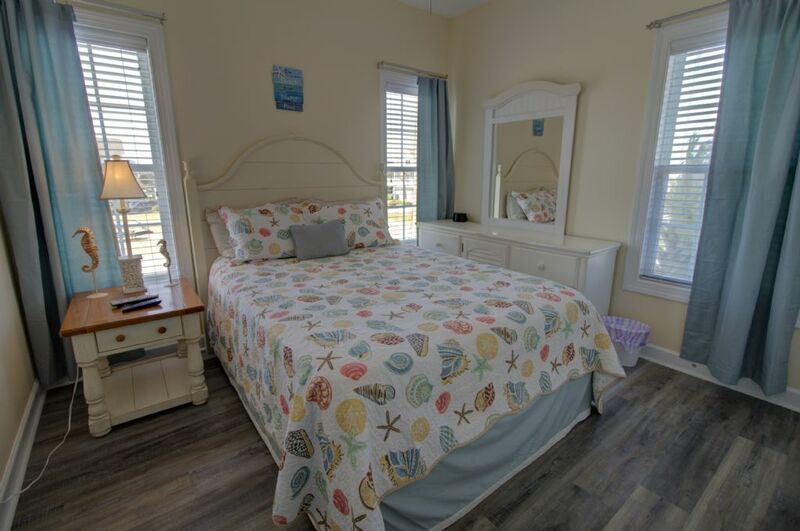 The bedroom to the left has a queen bed, followed by two twin beds in the remaining bedroom. 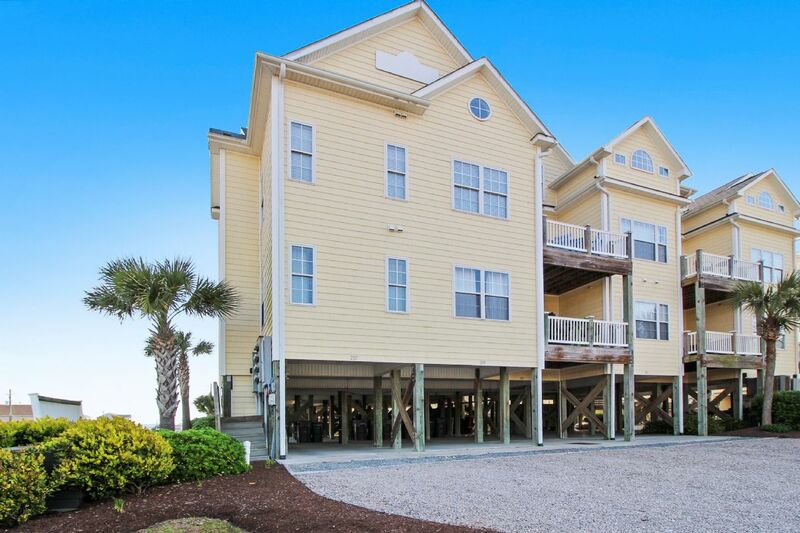 Summer Winds is truly a luxury vacation for the "price conscious" vacationer. 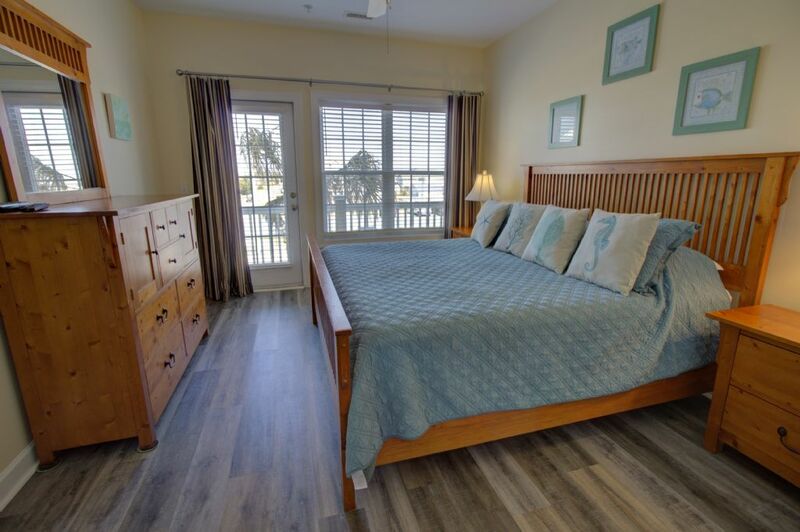 With a park next door, convenience store across the street, direct public beach access, and pool, you can be assured all the comforts of home while you're away from it all. Community pool is open from Memorial Day to Labor Day! "We thoroughly enjoyed our visit to Surf City! Access Realty was great to work with when booking the trip, during our stay, and at check out. 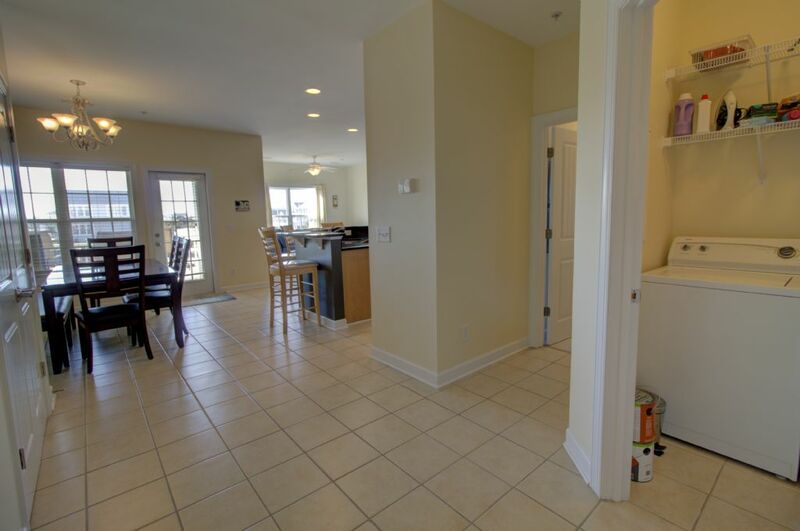 Summer Winds 207 was clean and spacious. The kitchen was equipped with everything we needed to prepare meals. We rented a Weber grill during our stay and it was waiting for us when we arrived. We also requested bed linens and they were in the condo in a sealed tub, wrapped with ribbon, and clearly labeled. Super easy! The beach is a very short walk away, my children (ages 4, 4, and 2) made the walk every day with no problem. 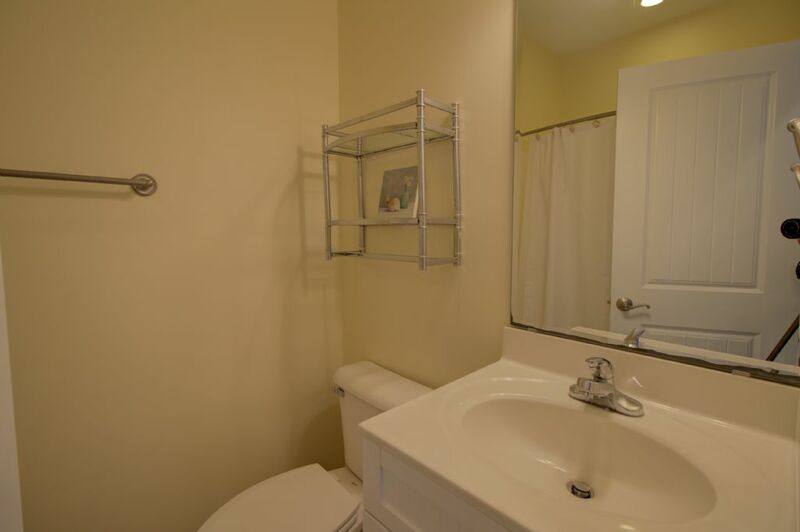 Bottom line was the condo was clean, spacious, and updated. The pictures online are completely accurate. We would definitely stay here again. Thanks Access Realty!" "Loved the location. Two small items of concern, 1. Could not locate trash can for our unit. 2. Sofas need replacing. 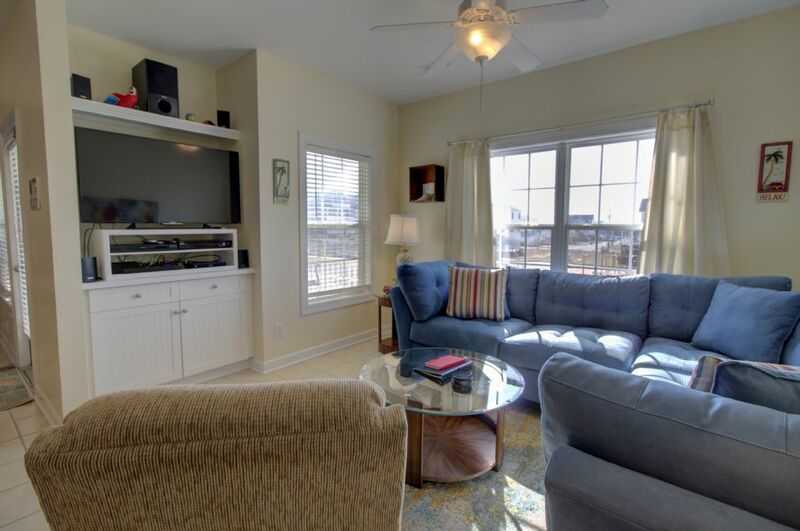 Enjoyed our stay will go again"
"Great place to rent . Very clean and comfortable . Location was great.Beach access was easy to get to and nearby.Play ground across the street was awesome.Our Toddler loved it. 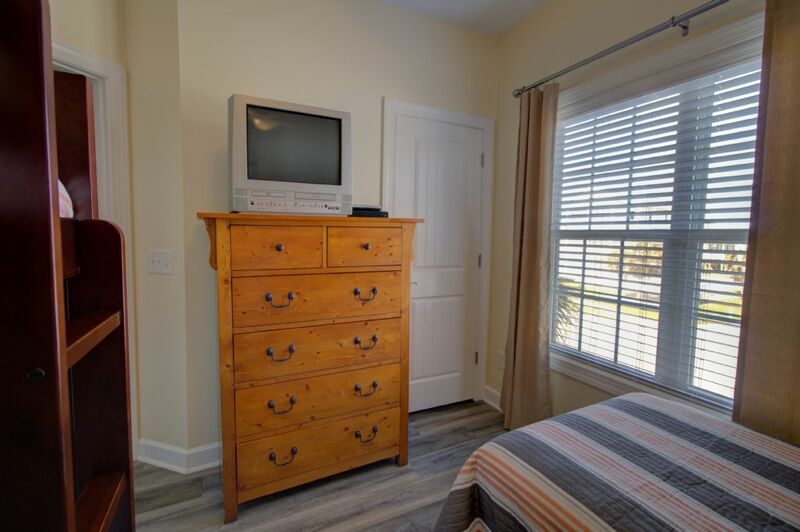 The property is roomy with nice appliances, cable TV and a sound bar. The main balcony is perfect for relaxing. Easy online booking. The check in was a breeze, very friendly staff. 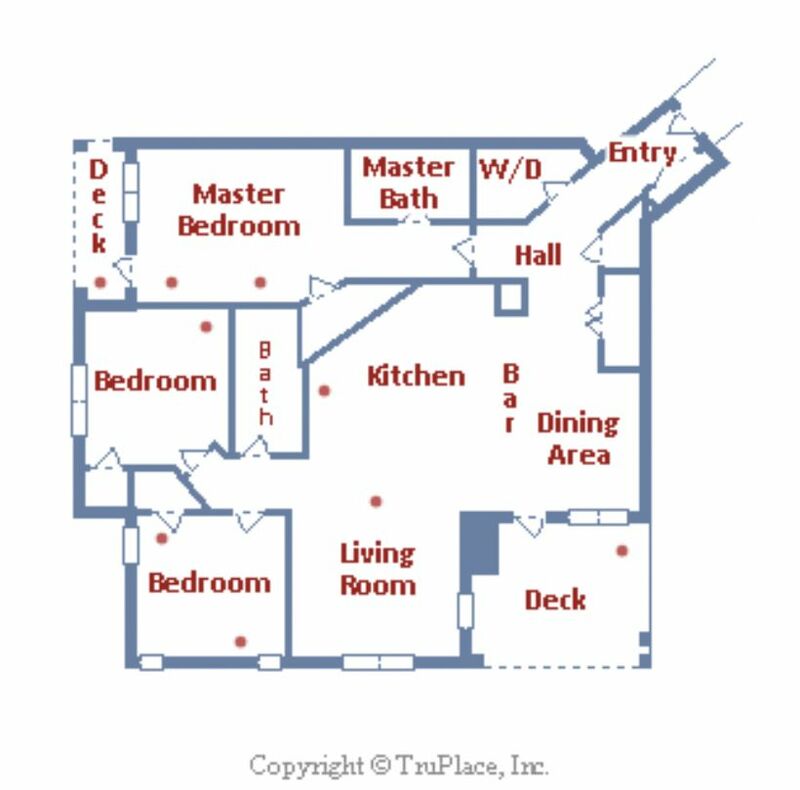 We liked the keypad access , no keys to keep track of.Overall a great fit for our family." We loved it! Location was great and plenty of space. "The place was wonderful. We had a blast! Might book it again next year." 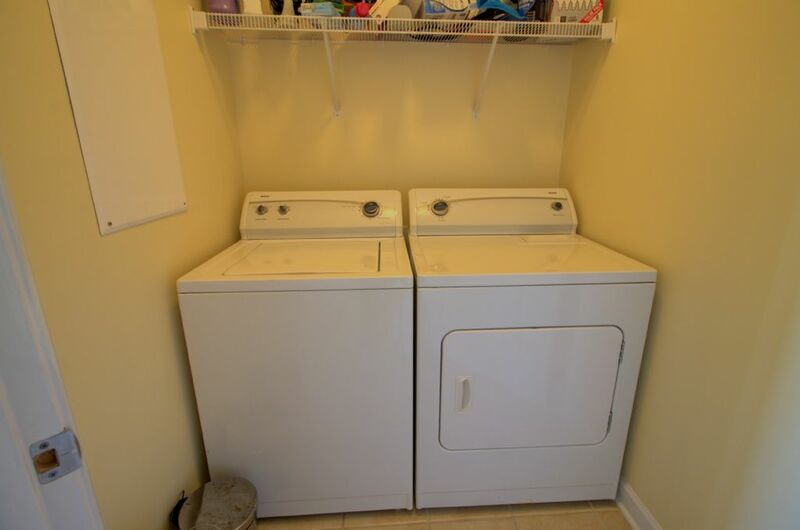 "The Pros: This place was very clean, and very comfortable for my family of five. 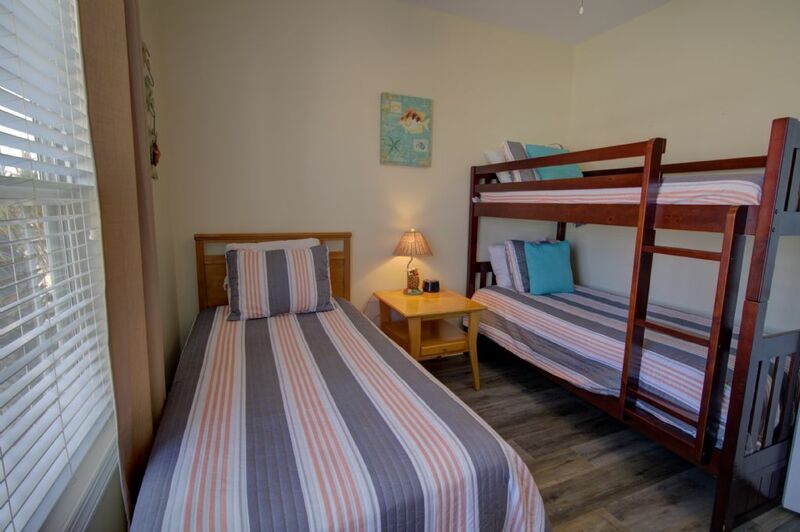 The beds were all comfortable, the kitchen is fairly well stocked, and is also roomy. The dining room sat 8 people one night, which was wonderful! The beach access is very easy to walk to, although there isn't a ramp nearby and we witnessed a lot of families with rolling carts struggling with this. The porch is wonderful! 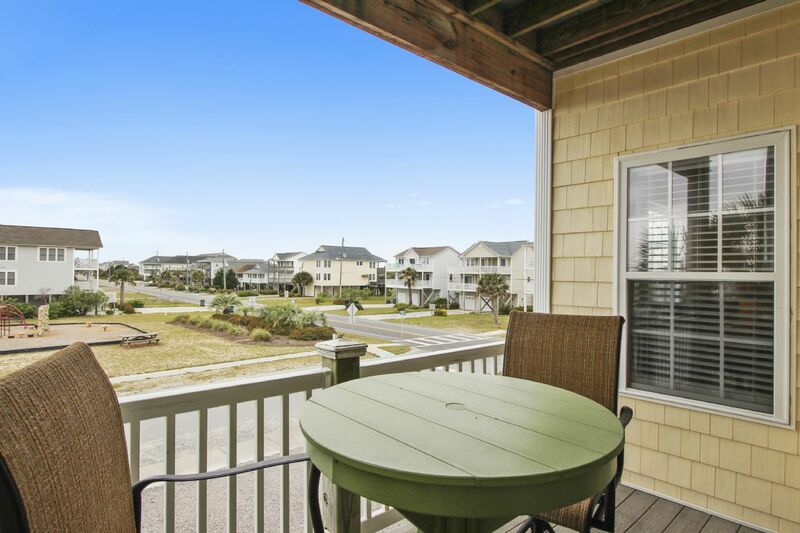 The table and chairs are perfect, and you can clearly see the ocean from one side of the porch. The cons: Two of the three bedrooms are on the side of the main road, and that road gets a surprising amount of traffic and nearly all night, with a lot of loud engines! The Trailer Bar (literally a trailer bar) across the street has live music every night of the week; while they do stop around 10:45, it was annoying. If you're in the living room, you can't hear it, but if you want to sit on the porch, or hang out in a bedroom it's not relaxing. There is also public beach parking across from the condos which adds to the traffic, and makes this area of the beach more crowded. (There is also a public park, for kids, across the street, but that didn't bother us at all.) If none of the cons will bother you, then I would recommend this place because the pros are really great. 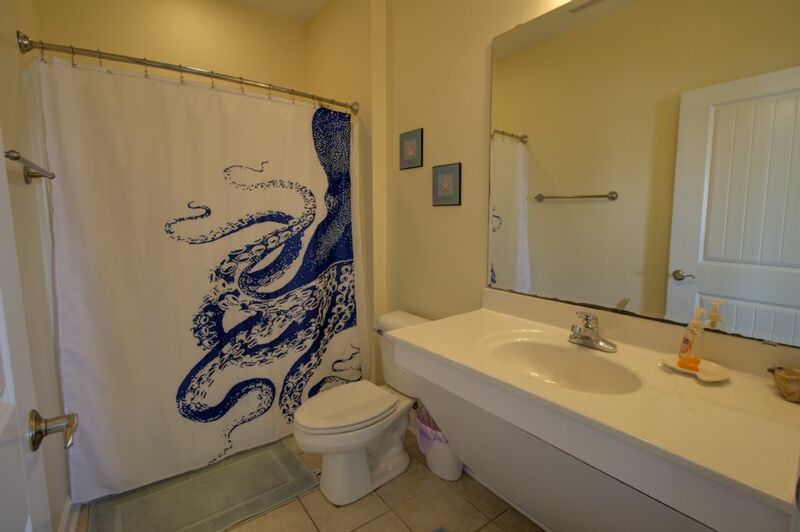 I appreciate the owners renting this out because our family did have a really nice time. Thank you." Thank you for your review. We are so happy that you had a nice time. 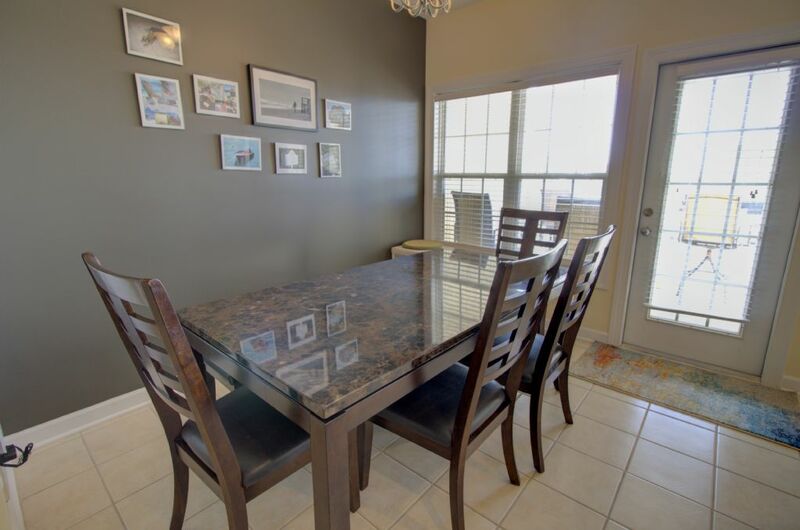 Thank you for pointing out the proximity to the nightlife and public park as it may help potential guests decide if this condo is right for them. We hope you'll be back to visit with us again soon!